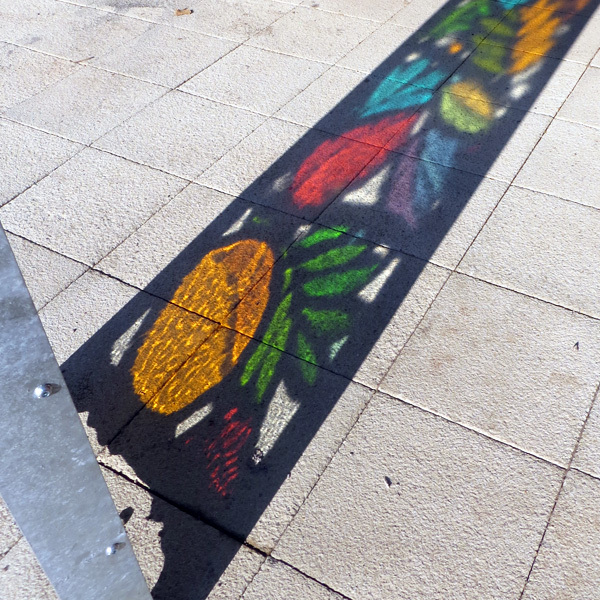 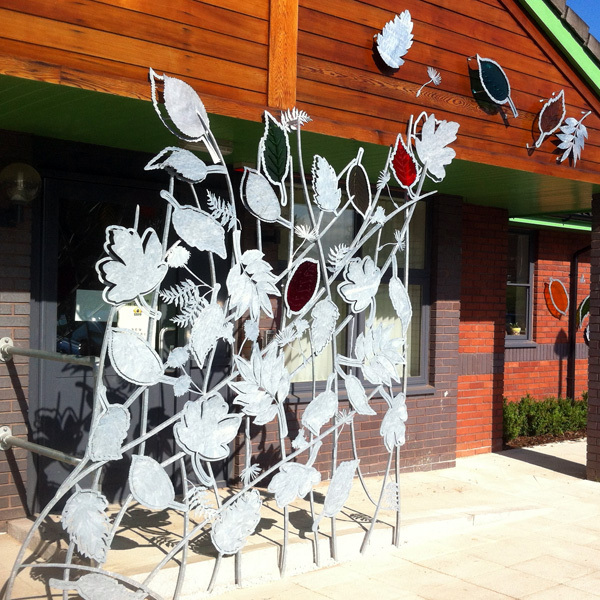 We were invited to create new public art works for the New Haven Unit ( formerly Brook Haven) at the Princess of Wales Hospital in Bromsgrove, Worcestershire. 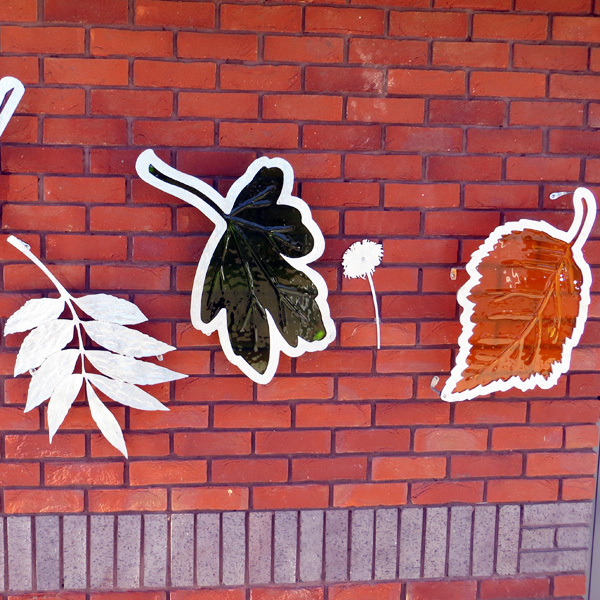 Worcestershire Health and Care NHS Trust wanted an artist to produce a sculpture to enhance the environment of the Unit as part of a significant redevelopment. 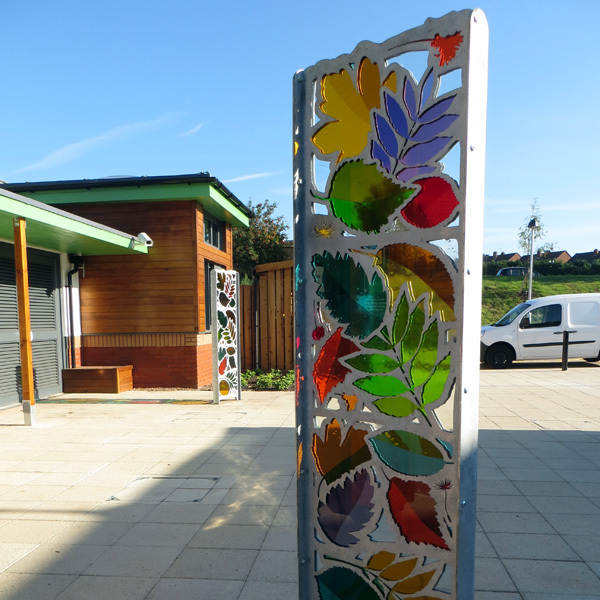 The Unit has a significant role to play in the care of patients with dementia and mental health issues and the artwork contribute towards a nurturing and soothing environment. 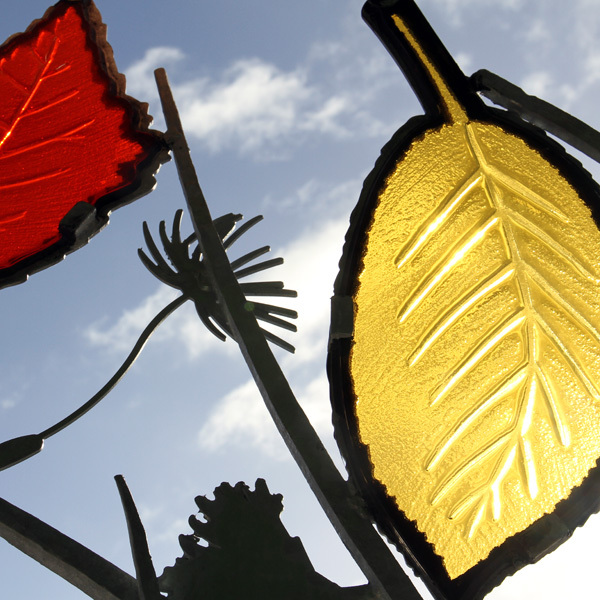 The new art works are a combination of laser cut steel and fused glass. 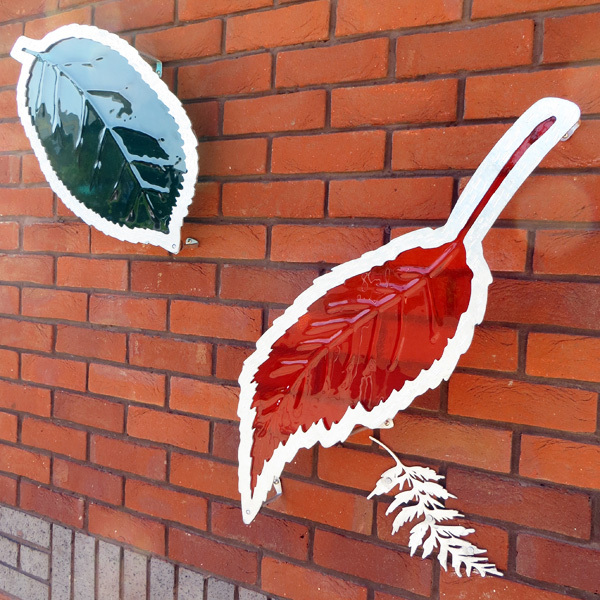 The idea behind the design is to screen the old entrance and lead the public around the building by following the blowing leaves to the new entrance which is situated between two free standing sculptures. 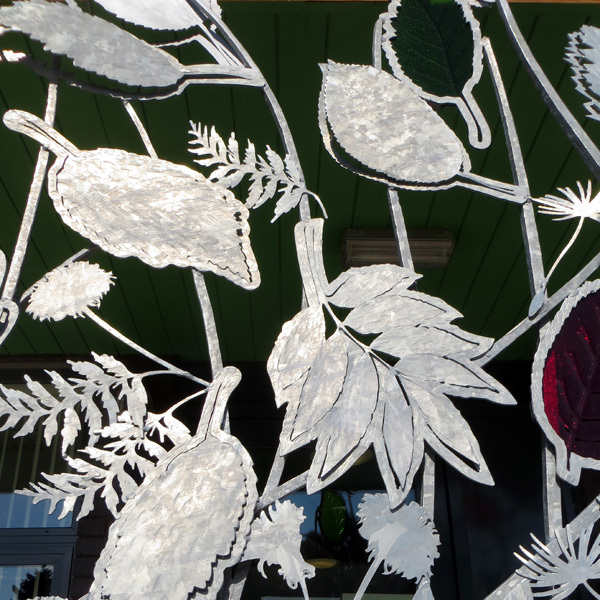 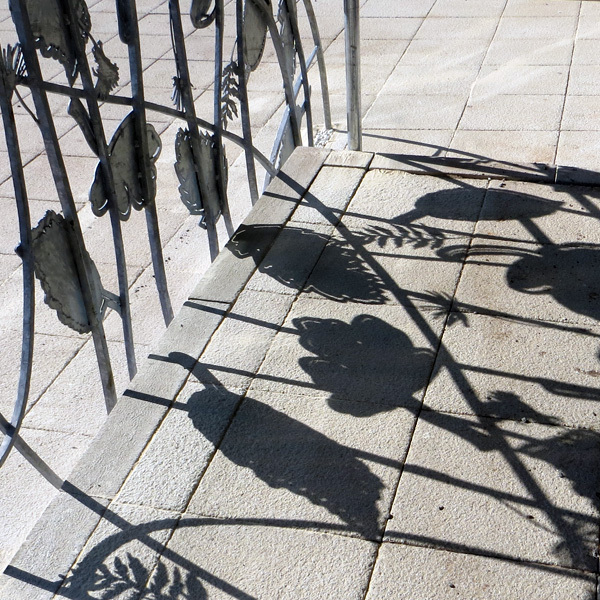 The sculpture reflects the various leaves from trees that are being planted in the new landscaped gardens such as Ash, Cherry and Field maple.